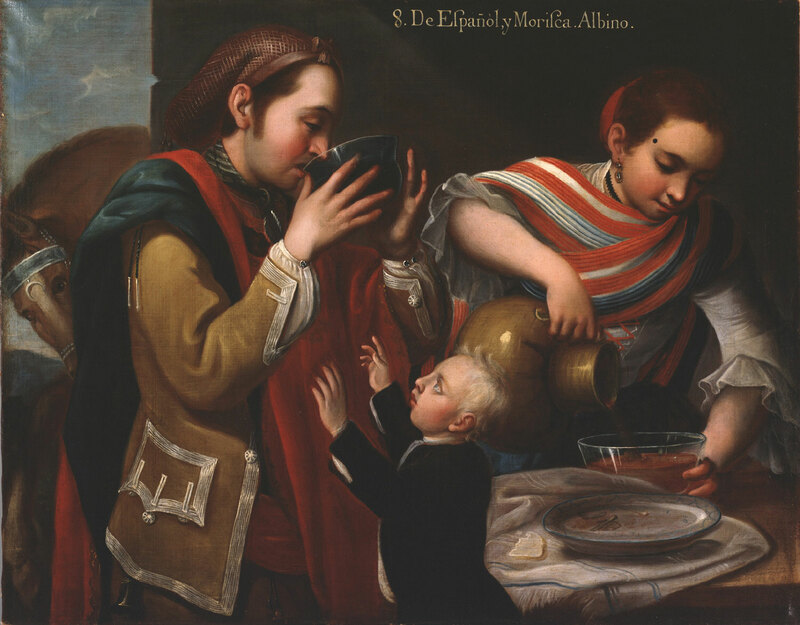 This work is part of a series of castas, paintings that show the intermingling of races in eighteenth-century colonial Mexico. The series is thought to have originally consisted of sixteen canvases; ten have thus far been identified. They are attributed to José de Alcíbar, a popular and prolific painter who worked in Mexico City. In addition to showing the growing mixed population of Mexico, such images often documented the wealth of the country’s resources and commerce, evinced in this picture by the rich fabrics that the family wears and the fine quality of the glassware.